Simple Beginnings by Janelle Stalder: Pre-Order is Up! YAAAAAAAAAASSSSSSSSSS! SQUEE! I'm sure that was audible all over the planet... but I don't care! You all know I love Janelle Stalder and all her books - well she has a new one coming out soon and it is up for pre-order on Amazon! You know I've already 1-Clicked this b*tch!! You should too - check out the book here and then go pre-order it! Ella Page planned to spend her summer before college like most girls her age - shopping, tanning, swimming, repeat. Instead she finds herself helping out on her grandma's farm, where she is forced to work side by side with her ex-best friend, Gage Hunter. Despite her attempt to stay cool around the boy she no longer feels like she knows, the heat in the summer air just won't stop rising. And with it, old feelings she's not so sure were forgotten after all. I literally can't hardly stand my own excitement over this one; go check it out! Happy Release Day to Prescott Lane!! You do not want to miss out on Quiet Angel by Prescott Lane!! Blurb:We all have that someone we can’t forget, the summer it all began, and the sleepless nights wondering what went wrong. For Gage Montgomery, that someone is Layla Baxter. When he was 18, he took one look at the chocolate-haired bookworm with porcelain skin and knew his life would never be the same. But it all came crashing down when Layla suddenly and mysteriously disappeared from St. Simons Island -- leaving him with nothing but her angel wing pendent around his neck. For 12 long years, Gage couldn’t shake what happened, if he’s the one to blame, wondering where Layla might be. When their paths finally cross, he’s determined to get the answers he’s spent his life searching for -- and to get the girl, too. 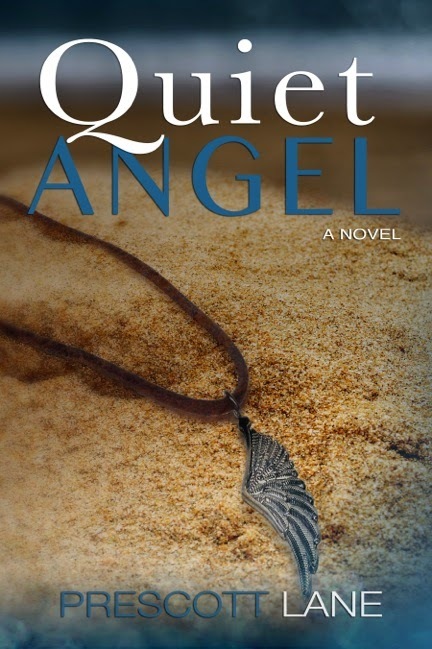 Quiet Angel is a story of hope, survival, and lost love made new again.